THOMAS, HOCIEL (1904–1952). Hociel Thomas, blues and jazz singer and boogie-woogie pianist, was born in Houston on July 10, 1904. She was the daughter of George and Octavia (Malone) Thomas. Hociel belonged to a well-known musical family. Her father was a renowned pianist, composer, and author. Her aunt, Sippie Wallace, was a legendary blues singer, and her uncle Hersal Thomas was a child-prodigy pianist. Hociel also counted among her relatives the influential vocalist Victoria Spivey. She and her young uncle Hersal were raised by Sippie after they moved to Chicago from New Orleans in the early 1920s. Both women became vaudeville blues stars during the mid-1920s. Hociel toured extensively throughout that decade, once with Louis Armstrong. She also recorded at length in 1925–26 after the OKeh label moved to Chicago. Her recordings included the popular "Shorty George Blues" and "Tebo's Texas Boogie." Her teenage uncle backed her on piano. Hociel Thomas. Image available on the Internet and included in accordance with Title 17 U.S.C. Section 107. After Hersal died in 1926 at the age of sixteen, Hociel was so devastated that she gave up music for the next twenty years. She moved to Oakland, California, around 1942. 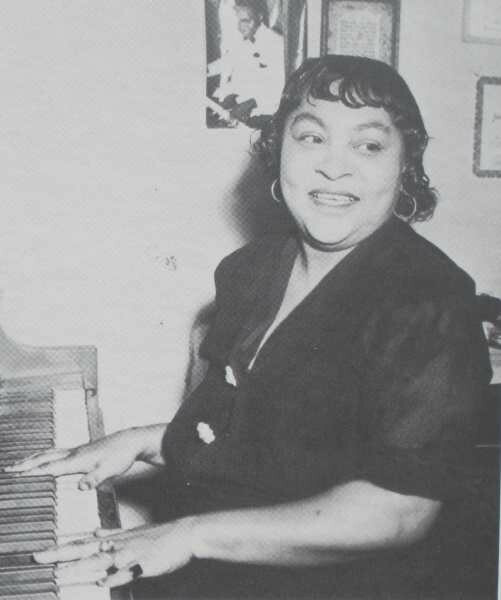 When she resumed her career in the mid-1940s, she played the piano on her own recordings in the boogie-woogie style that Hersal had taught her. Mutt Carey backed her on trumpet. She retired permanently in 1950, after a vicious fight with her sister. When the sister died shortly after the confrontation, Hociel was charged with murder. Although she was acquitted, she was permanently blinded by the fight. She was married to Arthur Tebo and had four children. After Hociel died of heart disease in Oakland, California, on August 22, 1952, Sippie Wallace raised her children, as she had raised Hociel, who was buried in Greenlawn Memorial Park in Colma, California. Lawrence Cohn, Nothing but the Blues: The Music and the Musicians (New York: Abbeville Press, 1993). Virginia L. Grattan, American Women Songwriters: A Biographical Dictionary (Westport, Connecticut: Greenwood Press, 1993). Colin Larkin, ed., Encyclopedia of Popular Music, 3d ed. (New York: Muze, 1998). Handbook of Texas Online, James Head, "THOMAS, HOCIEL," accessed April 19, 2019, http://www.tshaonline.org/handbook/online/articles/fth71.